Many watches are worn every day and others just on special occasions, but do they get the routine care and maintenance needed to not only keep them running properly, but also looking good? 1. The financial value of a luxury watch. A luxury watch that is well maintained can last a lifetime. 2. The sentimental value of a watch. It may or may not be the most expensive watch, but it has sentimental value. A watch that was a gift, received or purchased to celebrate a special event or accomplishment, or a family heirloom. Routine watch care and maintenance is more than a battery change every few years, or a needed repair. It can include a new band, a new crystal, a professional cleaning, or a band and case refurbishing. It can also be a clean, overhaul, and adjust for an automatic watch. 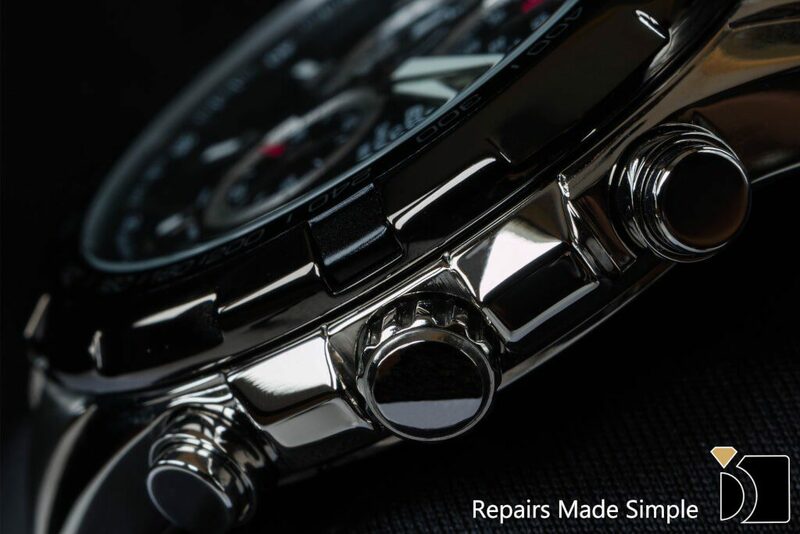 Battery replacement is the most common service requested, but it is a service that should be performed by a certified watchmaker, and if the watch is water resistant, to comply with manufacturer standards it must also be water resistance tested. Stainless Steel and Karat Gold bands and cases can be cleaned and polished to remove most surface scratches. This service can really transform a watch that is worn and scratched to looking like new. Some bands and cases have a brushed finish, and the brushed finish can be reapplied after the polishing process. Note: Watches with a plated finish cannot be polished (the polishing process will remove the plating). All of these services can help you protect the financial and/or sentimental value of your watch. Remember, not all watches require repair, but all watches require routine care and maintenance.